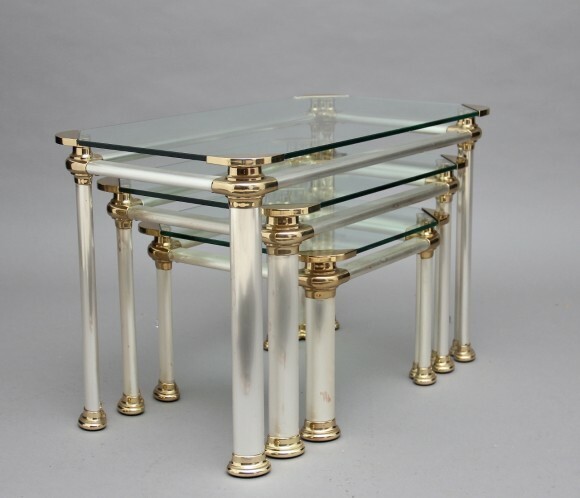 A nest of three mid 20th Century Italian brushed steel, brass and glass occasional tables, having a glass top with decorative brass corners, a brushed steel frame and oval legs ending on brass caps. Lovely quality and in excellent condition. Circa 1960.